B8 Ventures is proud to offer the Ecoraster product line, which provides permeable ground stabilization for a variety of applications. These geogrid systems are designed with installation that’s quick and simple, yet also made to withstand any man-made or natural element. Best of all, they are manufactured from completely recycled, eco-friendly materials. 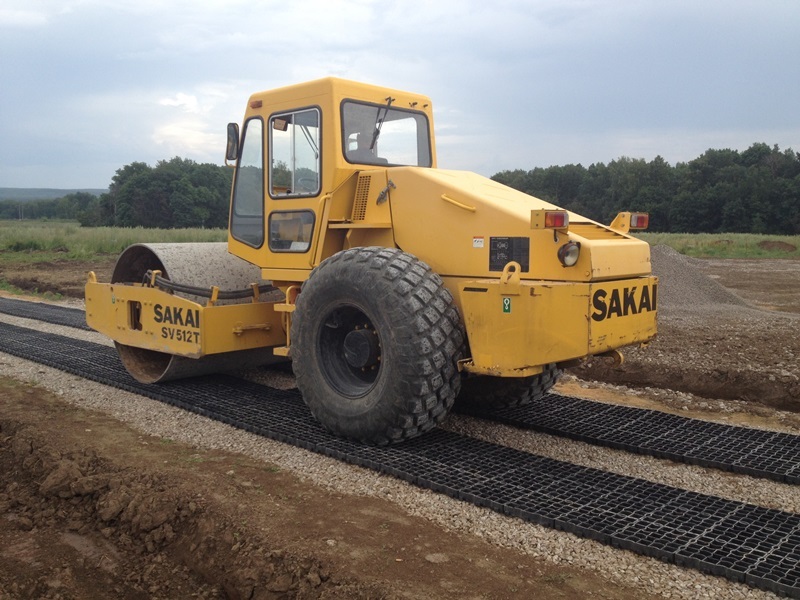 The Ecoraster E50 model is ideally suited for high traffic areas and construction sites. Like every other member of the Ecoraster family, the E50 was designed with rapid installation in mind. Once you’ve determined the specific load requirements needed for your project, you’ll excavate the area to the appropriate depth. Then, your drainage layer of gravel will be installed, and the E50 sheets can be placed directly on top in any direction. Lastly, the area can be covered by concrete, dirt, sod, grass, or gravel. The E50 is made from environmentally responsible materials, but it’s designed to bear enormous weight. Additionally, it’s highly resistant to temperature extremes, acids, solvents, and corrosive and harmful substances. These products are created with longevity in mind, and a 20-year manufacturer’s warranty helps to reinforce that. At B8 Ventures, we’re doing our part to provide permeable ground stabilization that’s strong and sustainable. Ready to place your first order? Contact B8 Ventures by phone or online today.